These little earrings were originally carved in wax and then cast in your choice bronze or sterling silver. Choose between two different styles! Photo #1 - the post is set on the end of the spike. Photo #2 - the post is set on the side of the spike. 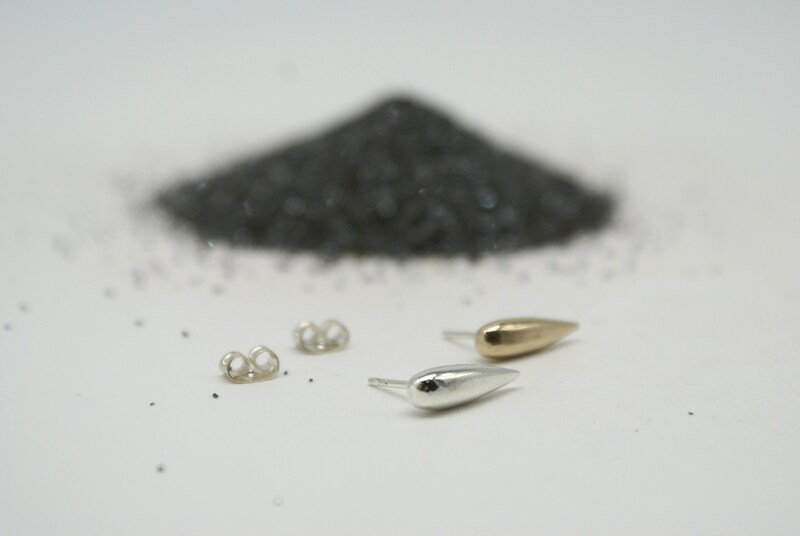 The spike measures approximately 16mm from top to bottom and about 5mm wide. 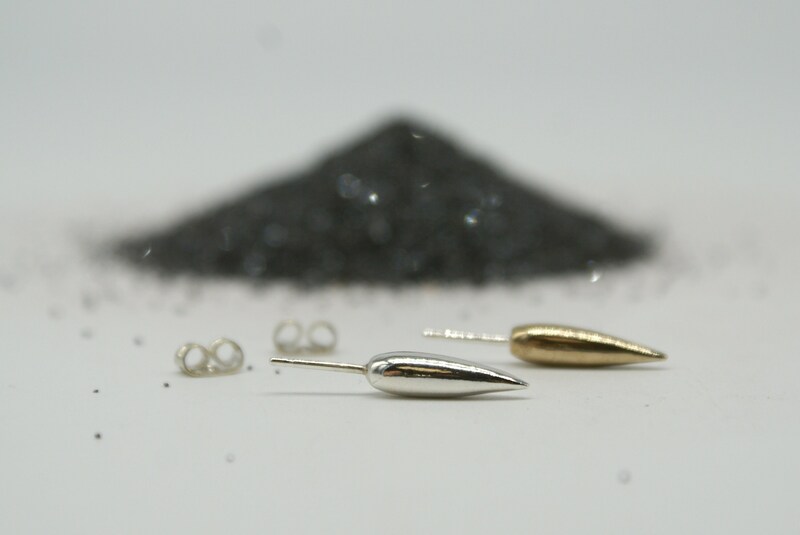 These earrings have sterling silver posts and are finished with stainless steel ear-nuts.